Ensure your premises are safe and slip free this winter with our sturdy mini grit bin which is ideal for smaller areas such as office entrances, school paths and shop yards. 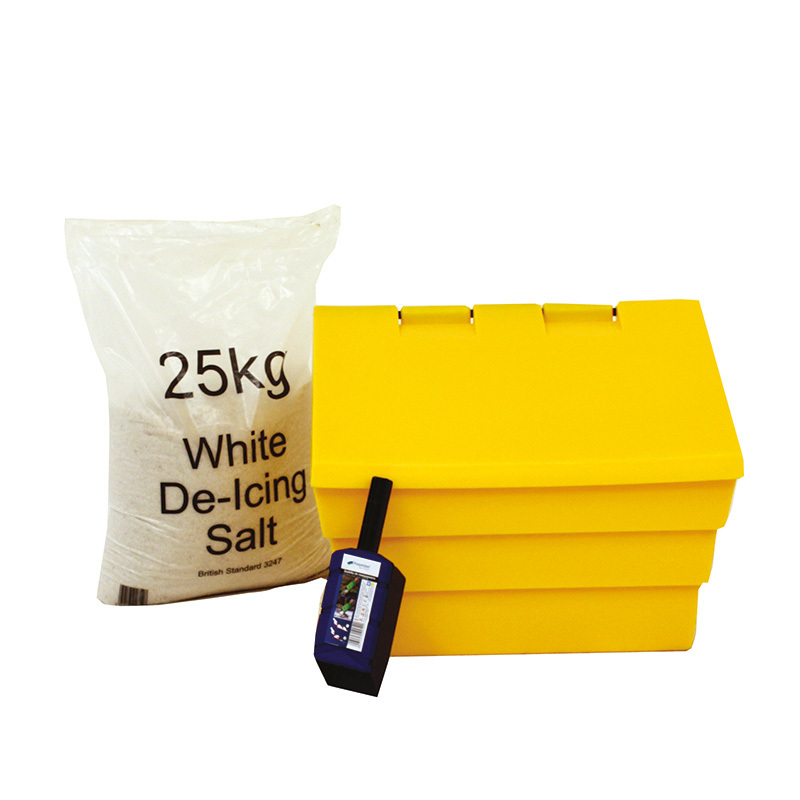 Designed to be compact and yet still hold up to 50kg of salt, this bin features a wide mouth which allows for easy access. 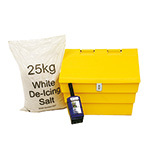 Constructed from UV resistant polyethylene, this product will prove to be a valuable part of your winter maintenance kit for many seasons to come. 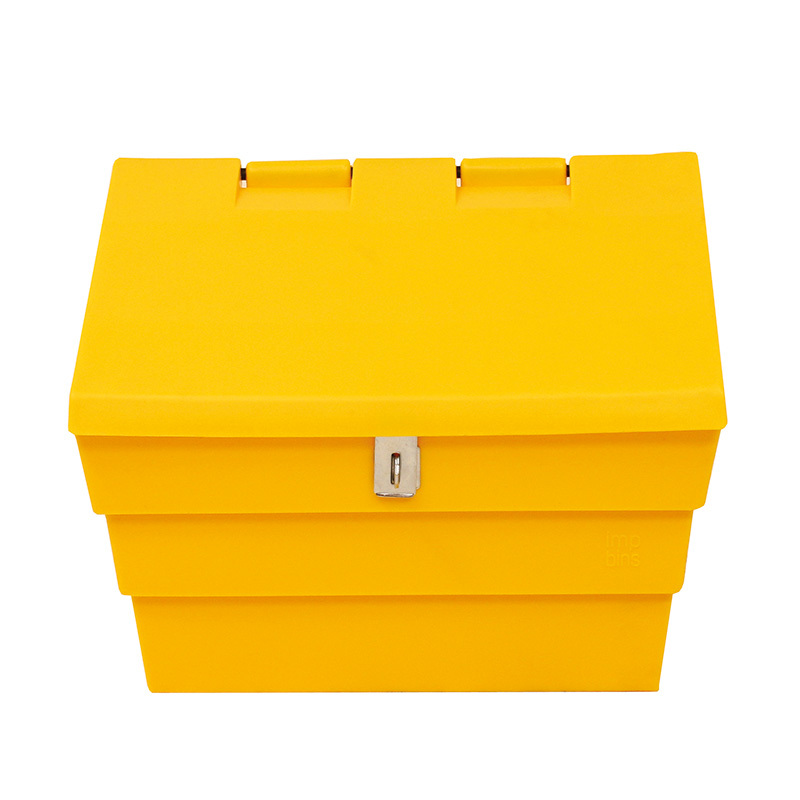 With a capacity of 50 litres, this vibrant yellow grit bin is stackable when empty for space-saving storage when not in use. Available in four different options; mini grit bin, lockable mini grit bin with hasp and staple (padlock not supplied), mini grit bin with one 25kg bag of white de-icing salt and scoop, and lockable mini grit bin with hasp and staple (padlock not included) with one 25kg bag of white de-icing salt and scoop. 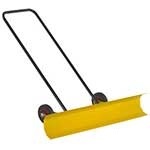 E389111 - Very good, just what we needed in our playground. 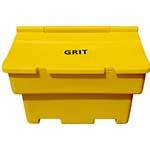 E389116 - its a grit bin ergh ????? 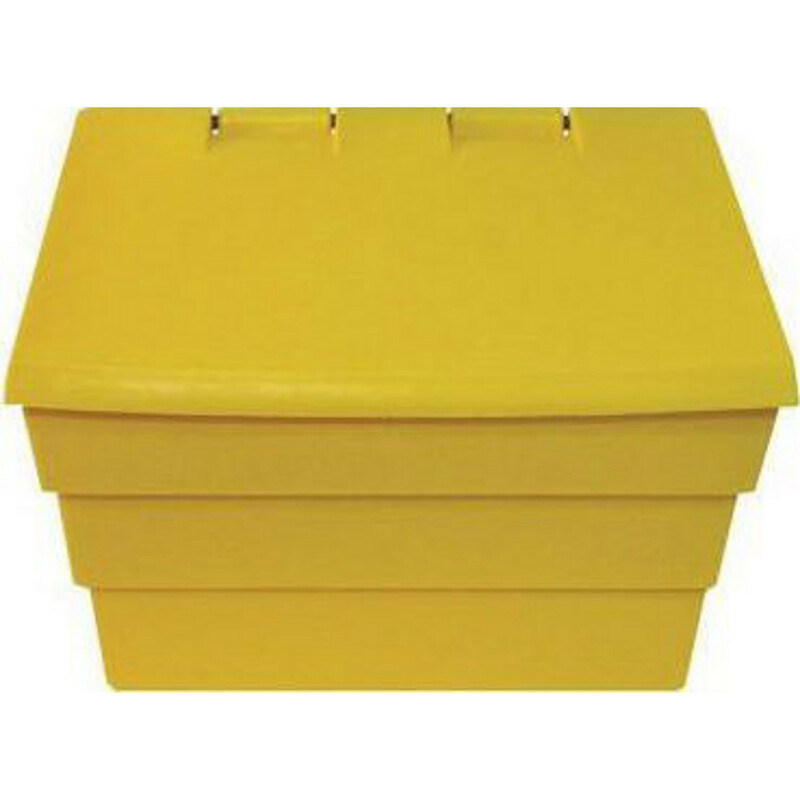 E389110 - Item as described on website.